Have you ever heard of a Maker Faire? 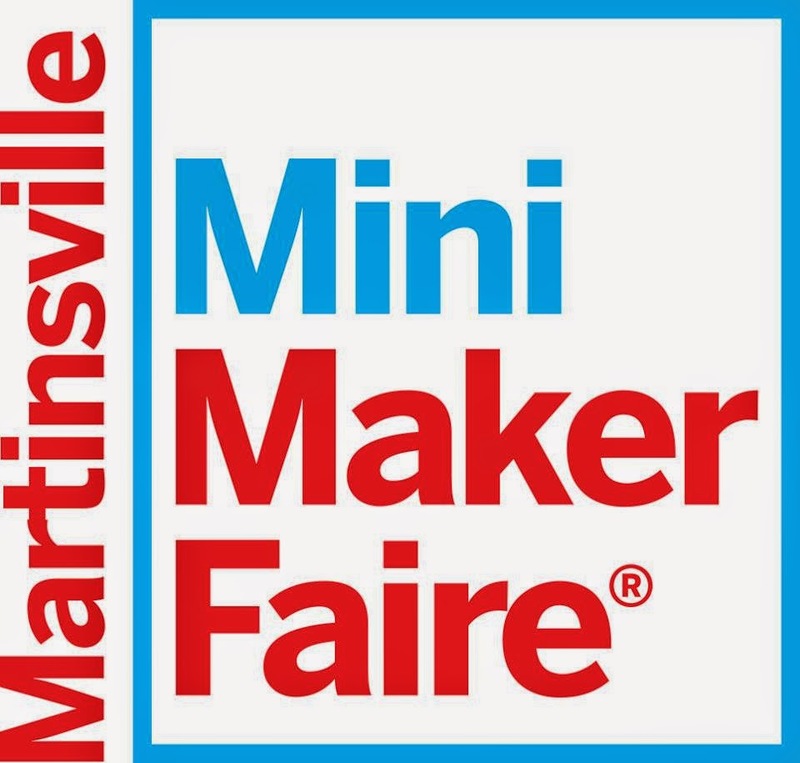 I hadn't, until this weekend when Martinsville held it's 2nd Annual Mini Maker Faire at The Artisan Center. If you or your kids like science, then you need to go to the Maker Faire website and see if and when a faire will be in your area! We went this past weekend and let me tell you, none of us were bored. The faire is certainly great for kids but it's not just for kids, adults are encouraged to experience the hands-on activities as well. From soldering your own light-up robot pin to making your own tee-shirt, adults were involved as much as the kids were! The 3D printer certainly caught my eye. Ever since I heard about this revolutionary technology it had intrigued me but I had never seen one in action before! It was pretty amazing. Although, it does concern me that the good old-fashioned artist may be put out of business now that a computer can do all the work, it still was interesting to see how far we have come in technology. Below, is another 3D creator, a 3D doodler. This is crazy! My son is holding what looks like a simple glue gun but in reality melts plastic onto paper into any shape you desire. You are creating a 3D creation, with a pen, it's pretty wild. He worked on this for quite a while and his finished product was a cool boot! My other son, over here is creating his own slime. Inside the STEM lab there were several activities that you could partake in, depending on your age. My four year old worked on a computer puzzle and my two boys put together a solar powered car. I was able to play around with a computer attachment that you could hold up to anything, the fibers on your clothes, hair, anything and you could see what it looked like up close. All kinds of activities were provided, including making your own NAME magnet out of old computer keyboard pieces. My daughter loved making her own hex bug out of a toothbrush and wires. Let the races begin! My husband hung out at the wood turner's demonstration for most of the day while the kids and I spent time at each booth experimenting and learning. Again, if you haven't experienced a Maker's Faire before, I don't think anyone in your family would be disappointed! Oh, and the best part: IT'S FREE!